Congrats all MACE15 teams! Go go go team Emperatigo! 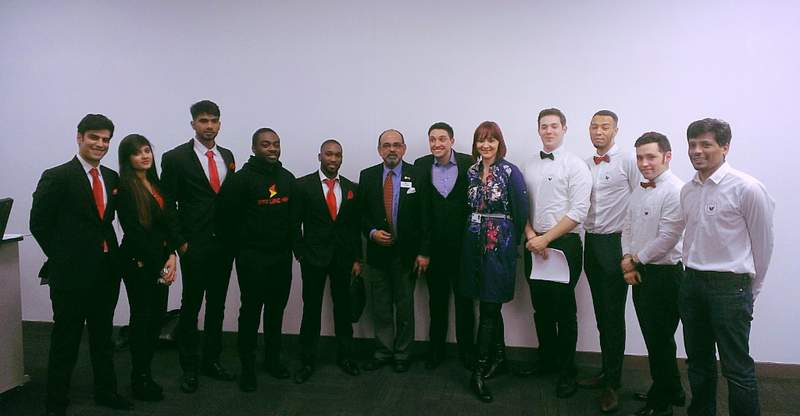 Congratulations to all of you on your success in the Dragons’ Den last Friday! The feedback from judges is fantastic and full of praise, and we are proud of all of you for stepping up to the challenge! They truly have a lot of work to do to prepare for the competition and they will need all of our support as they rewrite their business report for investor audience, prepare a new presentation (and practice it until they can recite it in their sleep, backwards), and build a new trade stand. 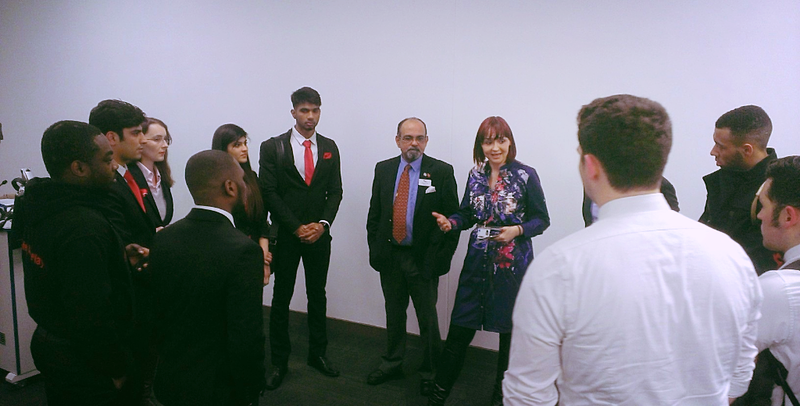 Below are a few photos from the Dragons’ Den on Friday, taken by @Lauraa_Born and published by the Business School – thank you! If you have any photos from Friday, please Dropbox them and send them my way. And now, before our world gets all hectic again, we are going to take a little break and recharge – we need it all! Enjoy your Easter holidays, MACErs, no matter where you are! Your job this week is to use all the feedback you received last week in your Mock Dragons’ Den to improve your presentations – just like you’ve been improving your products the whole year. The most important feedback from judges last week was – IMPROVE YOUR STORY and CONSIDER THE FUTURE OF YOUR BUSINESS. Please spend some time thinking how to tell the story of your startup in an engaging way, and so that all your major points get heard. All the challenges you encountered along the way are what makes your story unique and worth hearing. If you changed your product because you spent time in product development and learnt it could not be done on the budget you had – say it! If you didn’t get to the market in time because you had to change your manufacturer 10 times – say it! Startups are interesting and unique because they all experience unique learning curves. The questions on the brief and judges’ marking sheet are there to guide you, but your job is to find an interesting and emphatic way of explaining it all. Remember – good storytelling can make the difference between acceptance or rejection of your presentation (idea, business…). Your report is the written record of your startup, and your presentation is the more interesting and engaging version of your report. It may look good on paper, but it won’t sound good if you just recite it to the judges – no one talks like that… How would you tell the story of your startup to someone in a bar? You’d try to make it interesting, and you’d be so eager to tell them about the hurdles. Don’t forget to talk about the future of your business… when it comes to selecting a team for the National Start-up Final, the judges will be looking for a forward-looking team with skills, capacity, polish and will needed to represent Kingston University at the National level of competition – a believable plan for the future is part of the package they will be looking for. Your team will have 6 minutes for your presentation + 10 minutes to answer questions from judges. If you are selected for the Pitching Competition, you will need to be prepared to deliver your 2 min MAX elevator pitch. ALL presentation will be accessed from USB sticks I prepare and hand in to judges. This is to keep us on schedule, and to avoid logging in/out and any tech problems. ALL teams must send me a Dropbox link to their presentation BY 12:00 (noon) on THURSDAY 17 March. This will be your final version, and no changes can be made on Friday. This is to make sure you get your beauty sleep that night. Nevertheless, please bring a backup copy on a stick with you. You will only be able to use it if something goes wrong with the copy given to judges. ALL teams have TWO time slots they must attend on Friday (schedule below). The second time slot for ALL teams is 18:00 in Room 0026 (Lecture theatre, ground floor). This second session is for the Young Enterprise competition, where judges will nominate teams to go into the final pitching round. You will find out who is selected at 18:00 in Room 0026 – if you are not there, you miss your opportunity. If selected for the Pitching Competition, your team will need to deliver your 2 minute elevator pitch in front of all the judges and answer 2 questions from judges. 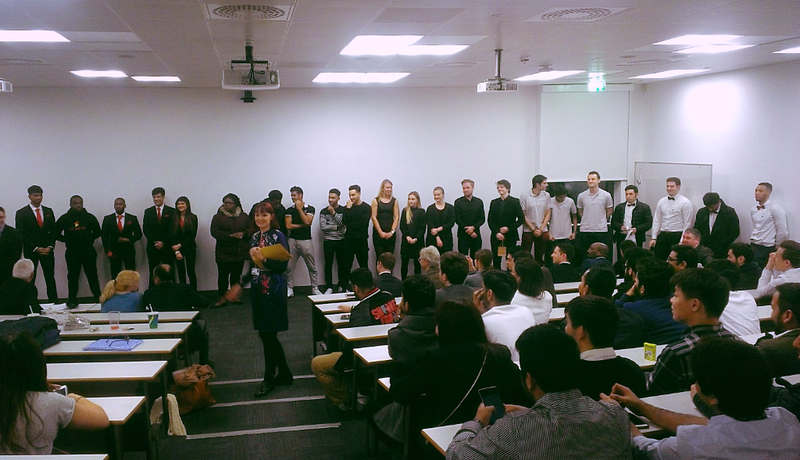 By 19:00, the judges will choose 1 team to represent Kingston University at the Young Enterprise National Start-up Final. …and please make sure you are in the right room at the right time! And the award goes to … MACE!! Troops, what a great trade fair day and Celebrate Enterprise ceremony yesterday! Congrats to Parachutes for the Best Trade Stand 2016 award! Congrats to Emperatigo for the Best Sales Team 2016 award! Congrats to Lucky 5 for the Best Product 2016 award! Congrats to Luke Ducker for the Student Entrepreneur of the Year 2016 nomination! Congrats to Riccardo Pezzuolo (MACE14) for the Graduate Entrepreneur of the Year 2016 award! We are all proud of you all – 26 startup teams is a tough competition! Remember that when even one of you wins, it is a win for you all – above all, MACE is one big team! 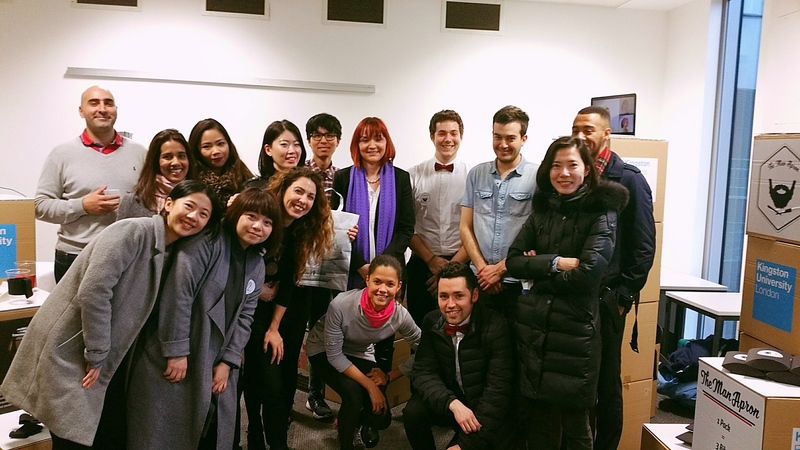 The excitement continues today – I’ll see you for our Mock Dragons’ Den a little later! Thank you for the photos, Megan. I’ll post the official photos as soon as they are released by the University.